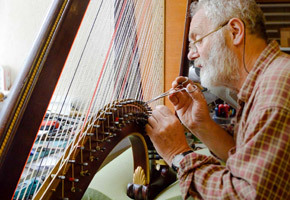 This year the Heritage Crafts Association is delighted to be partnering with the Marsh Christian Trust, The Arts Society and the Queen Elizabeth Scholarship Trust to offer a suite of awards and bursaries to celebrate and highlight traditional living crafts. In all £23,500 is available. You can read more experiences of previous winners here. Applications for this year’s awards open 1 September 2017 and the deadline is 30 November 2017.